Artemis’ intuitive touch control will completely change your mammography experience. 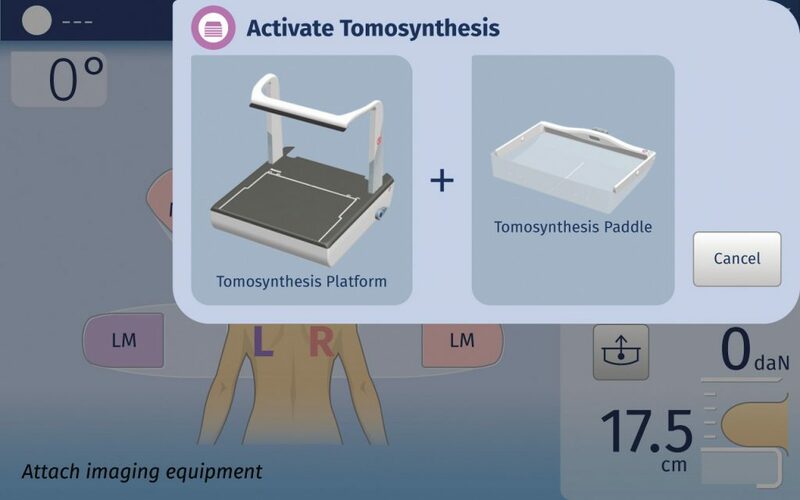 The easy-to-learn environment offers a customizable workflow solution for all requirements – for beginners and advanced mammographers. Artemis’ dual touch panels on either side of the stand provide a clear and simplified user experience with customizable workflows and optionally the ability to display reference mammograms to aid positioning. The systems intuitive tablet-style touch screen menus provide straightforward guidance for every procedure and allow you to easily adjust the system settings with multi-touch gestures like pinch to zoom. The Artemis review workstation is a multi-modality diagnostic reading station. Its elegant and simple interface enables a fast and efficient workflow in all situations. Designed to meet all mammography needs, the high-resolution display ensures you’ll get the most out of the crystal-clear, ultra-sharp Artemis images. Artemis’ sterotactic biopsy system guides you through the whole procedure with ease. Its exceptionally light-weight needle guidance unit is compatible with biopsy devices for both vertical and lateral approaches. At times, follow-up with magnified view is needed to get a better view of suspected lesions. Artemis’ ultra-light magnification platform makes this examination even easier and faster to perform.